Housed in the College of Journalism and Communications (CJC), one of the leading journalism and communication programs in the nation, students will acquire the skills necessary to succeed in the sports media industry. Students will be able to work in areas such as: Sports Writing, Sports Production, Sports Broadcasting, Team Media, and Sports Communication. 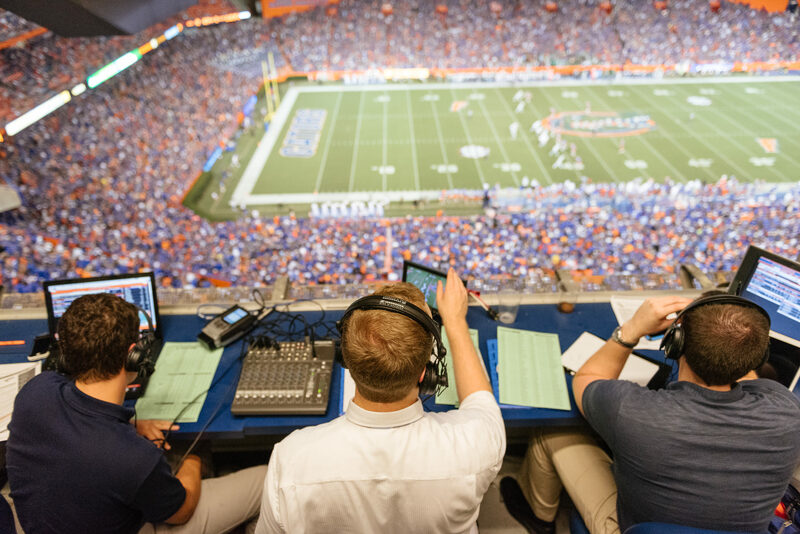 The University of Florida sports media and communication programs deliver exciting opportunities combining classroom education and hands-on experiences to position students for the multifaceted and ever-evolving world of sports media.